It’s already been a year since the progressive metal band Dream Theater has released their second double-disc studio album, “The Astonishing”, and I would go so far as to say it was one of 2016’s best metal albums, not to mention one of the most ambitious albums in existence. “The Astonishing” consists of over two hours of music, spanning thirty-four tracks. Twenty-nine of these tracks showcase Dream Theater at their finest, while the remaining five are short electronic interludes, which are produced by drone-like machines called NOMACs (NOise MAChines). All in all, it makes for one hell of an album. 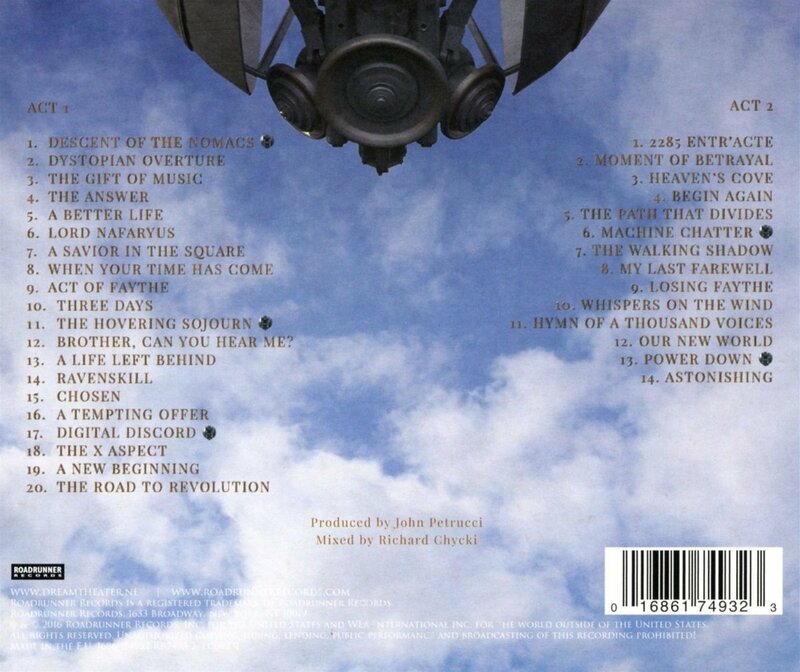 Unlike most of DT’s other works, the tracks on this album are very short (by Dream Theater standards). The longest track, “A New Beginning”, is less than eight minutes in length, a far cry from their 20+ minute epics that grace more than a few of their other albums. While the album itself is very long, the tracks themselves are quite accessible for most people, due to their shorter duration. From a musical standpoint, Dream Theater are at their very best here. The five NOMAC songs are electronic, dubstep-like instrumentals, and the rest of the album, in addition to DT’s five musicians, features a full orchestra and choir. Rudest even plays a grand piano instead of his Korg Kronos for most of the album. The album begins with “Descent of the NOMACs”, and it immediately presents a problem that the album’s story deals with. Music has become fully automated, produced entirely by computers with zero human input. The citizens of the Great Northern Empire have been listening to the NOMACs for generations, and those electronic sounds are the only kind of music they know. A rebel group from the village of Ravenskill promises to change all of that, and they attempt to show the Great Northern Empire what true music is made of. After getting your first taste (or earful) of the NOMACs, the next two songs are “Dystopian Overture”, which is an instrumental piece that paves the way for what’s to come, and “The Gift of Music”, where James LaBrie narrates what’s going on between Ravenskill and the Great Northern Empire. That song has Rush’s name written all over it, and those first three tracks make for a great way to kick off the album. The next song, “The Answer”, is much lighter than the previous two songs, and that’s followed by the anthemic “A Better Life”. As you can tell by just those first few songs, musical diversity is rampant here. There are soft, emotional ballads (such as Chosen and Begin Again), radio-friendly songs (Our New World and The Gift of Music), and archetypical Dream Theater songs (Moment of Betrayal, A New Beginning, and The Path That Divides). Story-wise, I will not mention too much so that I don’t spoil anything. 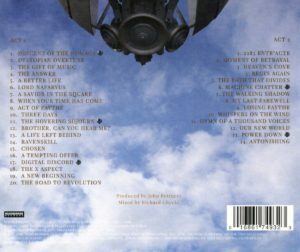 The album features eight characters, and James LaBrie sings in a different tone for each character, which showcases his vocal talents in a superb way. The story, which takes place in a dystopian setting where human-made music is nearly non-existent, is a mashup of 2112 (the Rush album), Hunger Games, and even Disney influences. 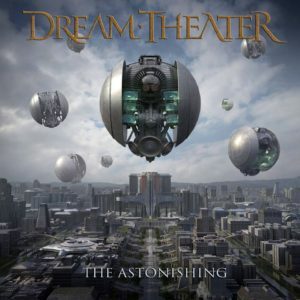 In conclusion, “The Astonishing” is a very good album overall, and it’s an essential album for those who love progressive metal. Even though it’s over two hours in length, it’s two hours of quality music that you will not regret spending your time listening to. In a word, this album is truly astonishing.